Culture. It’s “the way we do things around here.” It’s the normal or expected attitudes, beliefs, and behaviours that you share with your colleagues. In health care, culture influences how well we work together, how well we communicate with each other, our dedication to safety and, ultimately, how well we care for patients. Positive shifts in workplace culture are linked to improved system-related and clinical outcomes, reduced adverse events and increased patient satisfaction. These shifts also have tangible benefits for health care providers, teams and organizations by reducing work-related conflict and stress, fostering team communication to lessen harassment and bullying and improving job satisfaction and perceptions of working conditions1. To foster these shifts, we support and lead a number of culture change activities. Explore these pages to learn about our culture initiatives and how you can join us in shifting culture to support positive changes. Be on the leading edge of change in BC health care. Learn more about our commitment to advancing cultural humility and cultural safety within health services. 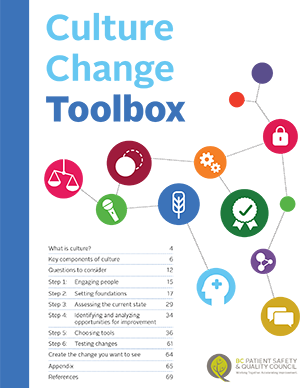 Our Culture Change Toolbox features 21 tools and interventions for changing culture, along with tips on how to apply them. In many work environments there are opportunities to improve culture. While this may seem like a daunting task, the good news is that we all, individually and collectively, have the power to do it. The toolbox outlines the steps that we can take to shift culture in health care: engaging people, setting foundations, assessing the current state, identifying and analyzing opportunities, choosing tools, and testing changes. 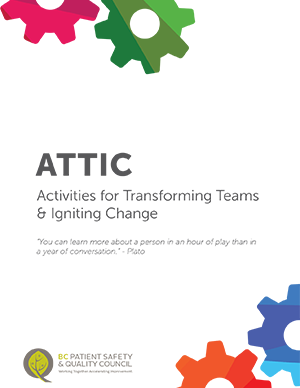 Transform your team and ignite change! These 34 interactive activities can help your team accelerate improvement in health care and beyond, and each one comes with a purpose, instructions, time commitment/range, number of participants, resources required, and debriefing notes. This three-minute video and companion guide help to address “the elephant in the room” and improve your group’s teamwork and communication. 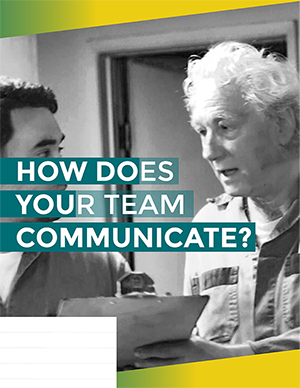 After watching the video, use the guide facilitate a debriefing conversation with your team. By engaging teams with a creative and non-clinical example, we hope to provide an opportunity to hone your observation skills and work to develop and improve how your team communicates.